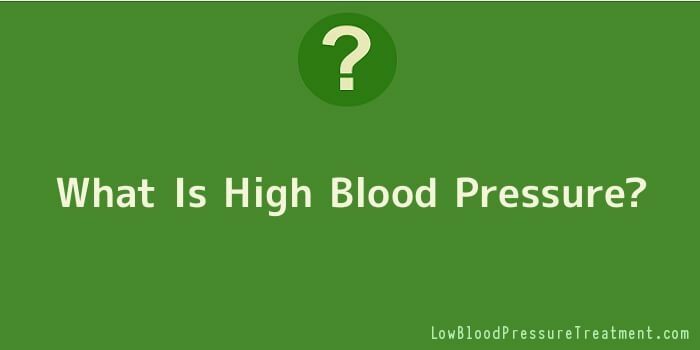 “What is high blood pressure?” is one of the questions we have all heard during the course of our lives. To put it simple, high blood pressure, commonly referred to as “Hypertension” is a serious condition that can increase the risk for a wide range of serious health problems such as heart failure, stroke, aneurysms, chronic kidney disease and heart attacks. Fortunately, the blood pressure can be easily controlled through various changes in one’s lifestyle and diet, although it often happens that drugs are required as well. In a nutshell, the term of “blood pressure” refers to the force of blood pushing against the walls of your arteries. The higher this force, the higher the pressure: prolonged hypertension can wreak havoc on your health in the long run, if this problem is not addressed. The kidneys, the heart and the blood vessels can be seriously damaged. Studies have revealed that approximately 30% of the US residents suffer from hypertension and many of them are unaware of it, given the fact that the condition has no obvious signs or symptoms. This is why it is essential to know your blood pressure numbers even if you feel fine. But beware of the effects of high blood pressure in your body. Basically, there are two types of hypertension: primary hypertension, which is the most common one and accounts for over 90% of all cases of high blood pressure and secondary hypertension, the latter being caused mainly by a renal disease. The underlying causes of high blood pressure are many, and they vary from one individual to another: however, it often happens that a combination of genes and environmental factors is to blame for hypertension and its side effects. It is not uncommon for secondary hypertension to be triggered by a serious underlying condition that the patient did not even know he had: various endocrine conditions (Cushing’s syndrome, for instance), obesity or sleep apnoea can also lead to high blood pressure over the years. On the other hand, the increased consumption of certain prescription drugs is also to blame, in some cases. In a nutshell, there are two types of pressure: the diastolic pressure and the systolic pressure. The latter refers to the pressure when the heart beats, while the first one describes the blood pressure when the heart rests in-between beats. The pressure is measured in millimetres of mercury (mmHg), and it does not stay the same all the time: it is not abnormal for your blood pressure to be slightly elevated in the morning, for instance, or when you get mad. If there are no significant changes in blood pressure, you should not experience any significant health problems. At the same time, it is important to understand that blood pressure does tend to elevate with age: as we age, so does our body. However, a healthy lifestyle and diet coupled with regular exercises can help seniors keep hypertension under control. The secret to reduce HBP and all the health problems related to it is to switch to a healthier lifestyle, to benefit from ongoing medical care and to follow the treatment plan exactly as prescribed by your health care provider. Garlic is a very important drug for the heart. Have positive effects throughout the cardiovascular system of our body, including blood pressure. Research shows that, people having high blood pressure, were given some pieces of garlic a day for 12 weeks, their diastolic blood pressure and cholesterol levels were considerably reduced. Eat small amounts as days of nail were found to have a positive impact on the managing of hypertension. Onions are very useful for high blood pressure. Take 2 or 3 tablespoons of essential oil of onion per day, you found that the diastolic levels by 15 points in hypertension subject’s systolic blood pressure levels by an average of 25 points. Tomatoes contend a high gamma-amino butyric acid; this could help bring down your blood pressure. Carrots are rich in potassium, which helps us to prevent and treat hypertension. It is also rich in beta-carotene; research shows that it may reduce the risk of heart disease and hypertension. Juice of Carrot helps to maintain the normal blood pressure. Glucoraphanin, which is also known as sulforaphane glucosinolate, a natural compound which is found in broccoli and broccoli sprouts, contribute to the risk of hypertension, cardiovascular disease and stroke. In conclusion, this is what high blood pressure is. If you suspect you might suffer from hypertension, it is important to seek medical attention and treatment right away.